All of the winning products have been field-tested by EM's editors and a select group of authors. We also solicited opinions from the editors of our sister publications Mix and Remix. The final selections were made by EM editors Gino Robair, Mike Levine, Len Sasso, and Geary Yelton, and former EM editor in chief Steve Oppenheimer edited the resulting article. 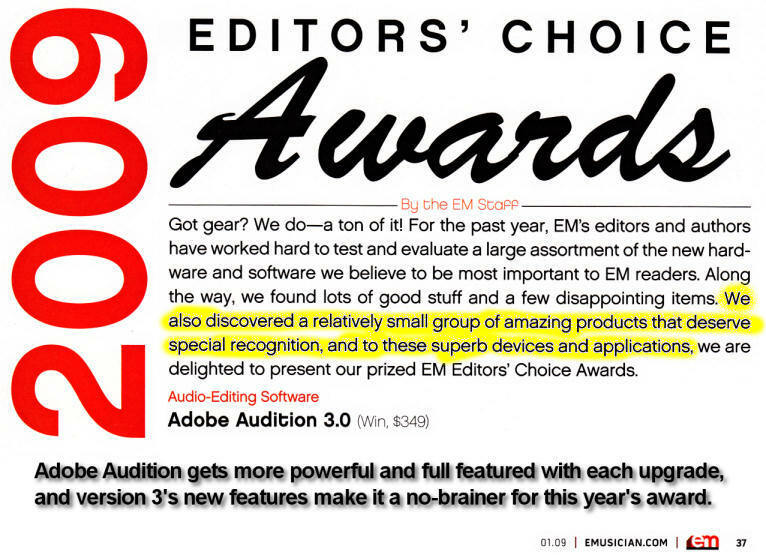 All award-winning products have been covered in EM reviews, or the review is in progress and our tests are far enough along that we feel confident about our conclusions (see the online bonus material “The Award Winners in Review” and “The Winning Manufacturers” at emusician.com). Please join us as we applaud the winners of the 17th annual EM Editors' Choice Awards!